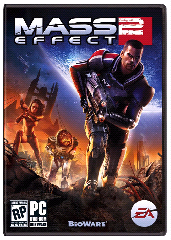 Direct2Drive are selling a digital download copy of Mass Effect 2 for the bargain price of £4.95. The BioWare sequel was extremely well-received on release receiving a aggregate score of 94 on Metacritic. Considering the price currently on Steam is £19.99, this is certainly a must-have for those who've yet to play as Commander Shepard in the epic role-playing game.